This handheld calibration tool is a voltage, current and thermocouple signal source/generator, able to output and measure 0-30V, 0-24mV, and 0-100mV voltage signal, 0-24mA and 4-20mA current signal and K, E, J, T, R, B, S, N type thermocouple, easy to use and high accuracy, helpful for testing and calibration in the industry field. 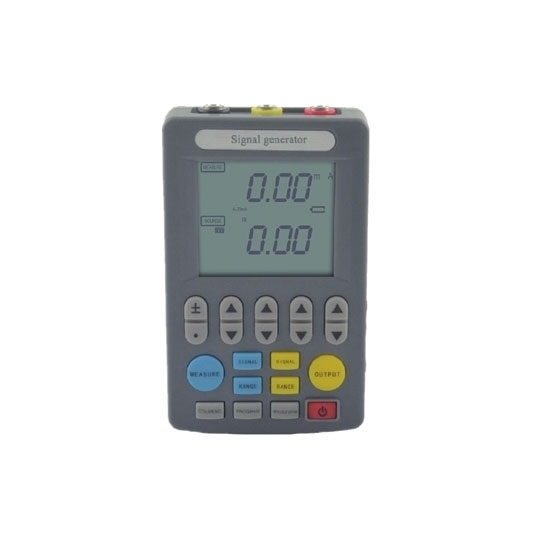 This handheld multifunction calibrator is a high precision signal source/generator, designed to output variety of signals including DC voltage, DC current, resistance, RTD, thermocouple, pulse frequency, and power distribution, ideal tool for calibrating and troubleshooting detectors. This calibration tool outputs and measures voltage/current/thermocouple signal source, and features simple operation, long standby time, high accuracy and programmable output with LCD screen and silicone keyboard. It’s widely used for calibration or debugging in labs, PLC industry site, process instruments, electric valves and other areas. There are also available with other calibrators/signal source generators with different functions. Please check the table below for more details. Buy a suitable one for routine maintenance of your devices. * For the specific parameters of the above functions, please click here. Nothing displays on the LCD screen after turning on the signal source. a. Check if the battery is OK.
b. Check if the power adapter outputs the current of 1000mA. The measurement result cannot display. Make sure that the signal source calibrator is on the status of MEASURE. The output or measure value is abnormal. a. Check if the signal wires are connected correctly. b. Make sure that the right signal type is chosen. 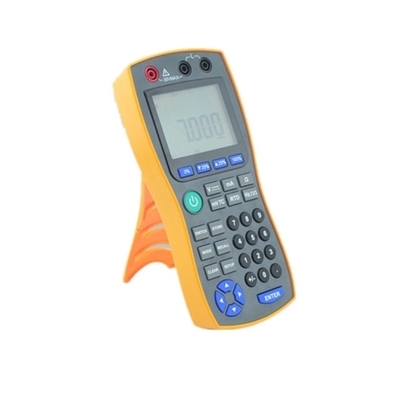 This handheld signal source calibrator is powered by 3.7V rechargeable lithium battery. For a long time use, please power it by power adapter so as to extend the lifespan of battery. If you use a phone charger to charge the instrument, please confirm that the phone charger output current is 1000mA. The instrument is not waterproof. Please keep it away from too humid environment. This handheld signal generator is right for me. It is small and easy to carry. Just put it in my pocket when I go to the industrial site. Besides, it is not too complex and I can operate this very well soon. Works as advertised.